J.G. 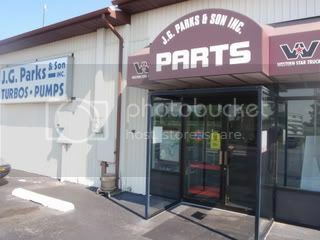 Parks & Son, Inc. is currently an authorized dealer or preferred partner with numerous diesel engine & parts distributors to perform services for: Caterpillar, Cummins, Detroit Diesel, Allison Transmissions, Mercedes Benz Engines, Perkins, Deutz, Yanmar, Hatz, Kohler, Onan, Ford, Volvo, Kubota, Lister Petter, TMD Continental, John Deere, Allis-Chalmers, Clevite, FP, International, Robert Bosch, Hartridge, Bryce, CAV (Lucas), DIPACO, Denso (Nippondenso), Simms, Stanadyne (Roosa Master), Zexel (formerly Diesel Kiki), AIResearch, Holset, Rayjay, Roto Master, AMBAC International (American Bosch), McCord Gaskets, ProDiesel, AC Delco, Raycor, Spinner II, Fleetguard, Murphy, VDO, FPPF, Alliant Power, Alliance Parts Program. And much more!